I had been lusting after the Missguided Aldara dress already due to seeing how lovely Sarah (A Million Dresses) looked in all of hers, and seeing her ‘Five Ways To Wear‘ post featuring five different colourways of the dress (along with Missguided having a 14% off code on Valentines’ Day) meant I was completely sold – I bought the black and the lilac and they were delivered free next day, ready for a night out on Thursday night. I went out with the group I’ve been studying for a management qualification with – it was our last module together after almost a year so it was quite emotional having our last night out together as we’ve all become such good friends. I have two minor assignments to finish and then the course is over – I got 88% in my major assignment so I’m so proud of what I’ve achieved as it’s been such a hard slog alongside my job and all the work on the house. 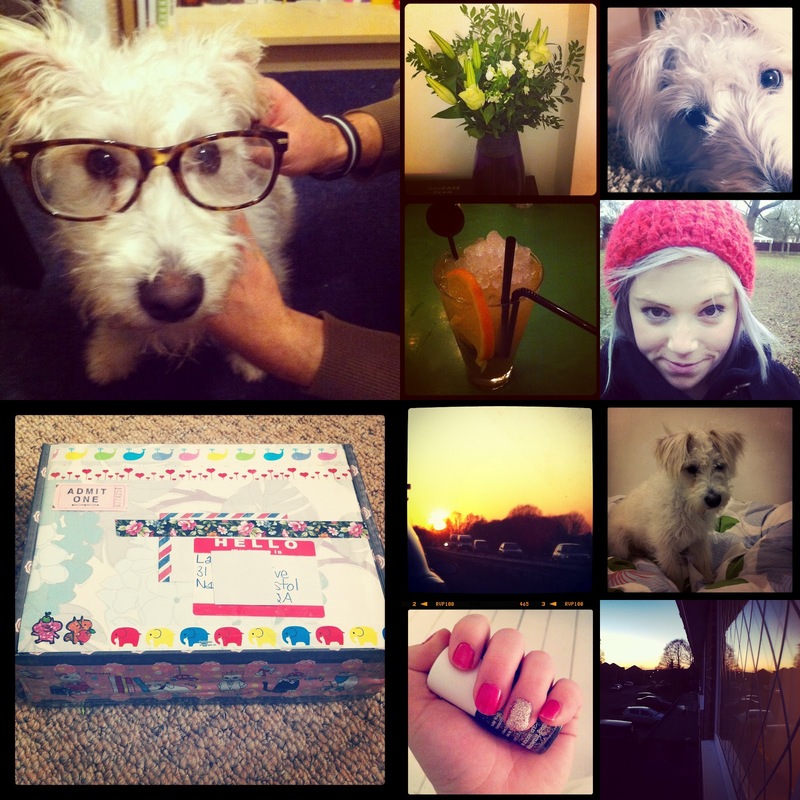 Here are a few instagrams from the last couple of weeks. In the middle at the top are the huge bunch of flowers Tom bought me for Valentine’s Day. He had them sent to my office and then I scuppered the plan by working from home – oops! The top left is Bodhi donning some glasses to do some proofreading of my assignments! Hope you’re all having lovely weekends so far. We are having friends over later and in the meantime I will be making a trip to the garden centre as I want to start some seeds off for our veggie patch indoors whilst it’s still too cold outside – rock and roll lifestyle eh?